Global climate change is possibly the greatest environmental challenge facing the world in the twenty-first century. Although often referred to as ‘global warming’, climate change encompasses serious disruptions to the world’s entire weather and climate patterns, in¬cluding impacts on rainfall, extreme weather events and rising sea-levels, as well as mod¬erate to extreme global temperature increases. Like most other developing countries in the world, Southern African nations are finding it increasingly difficult to implement ad¬aptation activities as a result of a number of barriers. 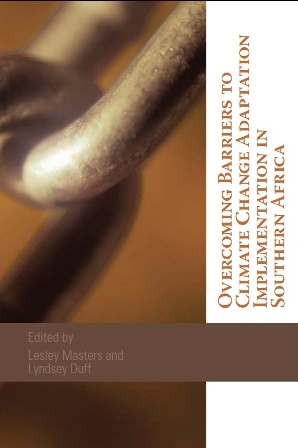 In an effort to explore and identi¬fy the full spectrum of barriers to adaptation, the research and analysis of this book is di¬vided into five sections – political, economic, financial, technological and social barriers.